Anyone else kind of excited the weather is starting to get cool? I mean I'm not asking for negative temps here... just saying it's fun to wear a ton of layers without getting overheated. That's OK right? 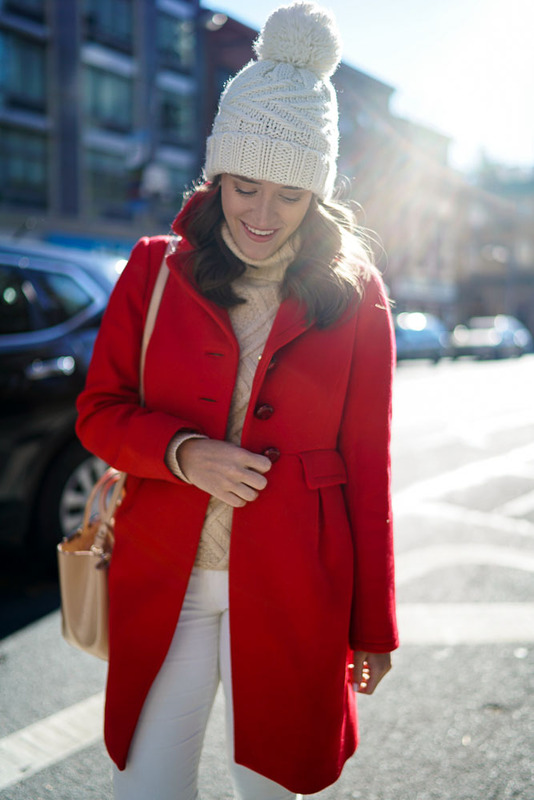 This outfit was originally going to be a 'winter neutrals' look but you know I just can't stay away from this red coat. I love it SO much. One of the best items I got in 2015... seriously! 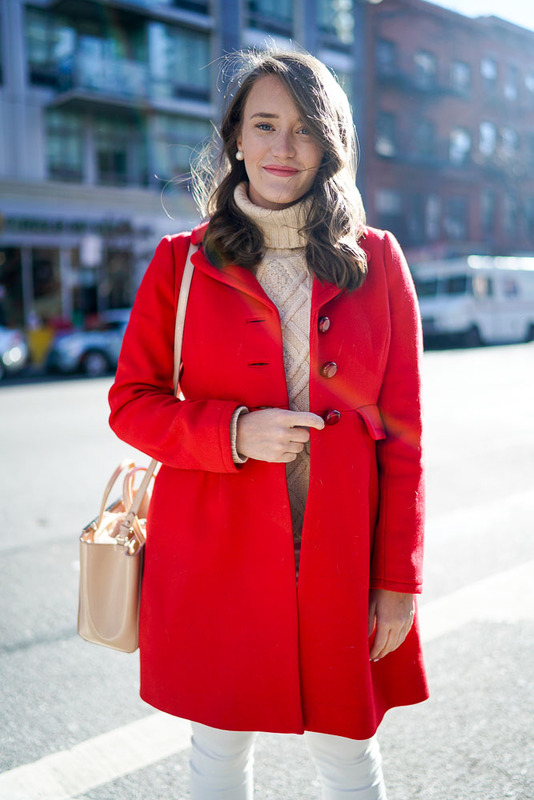 This coat goes with everything and it's making me think that red is totally my color (but shhh don't tell blue). The first time you saw it I actually paired it with this beanie here. Totally different look, right? I also can't believe how long my hair is! Looking back I totally thought I wore this coat more on the blog but I guess it was only pictured at the Waldorf. So crazy because it's my go-to jacket now! Another thing I can't believe hasn't made it's way to the blog are these booties! Gah! I'm very selective when it comes to wearing heels but I totally love my Schutz shoes. Especially these brown tassel booties-- they're to die for! PS my favorite turtleneck sweater (seen here) is on sale!! I just picked up two more colors. This is so pretty! Love that pop of red. great coat girl! your blog is adorable and so happy I came across it! Great outfit but really love the booties! Such a pretty look! 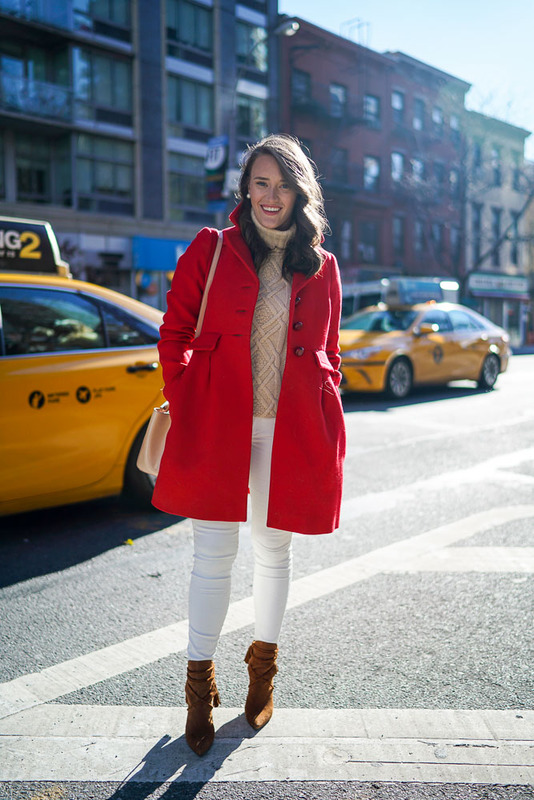 Love your pop of red and those booties!! Love this outfit & that red coat is perfect!! Love the pop of red. So eye catching! I love these colors! That cable knit is so luxuriously perfect! Love the coat! I have been wanting a red coat for a while, it's just so classic. Also, cute beanie. I always look so awkward in them, but you can totally pull them off! Your red coat is so pretty! 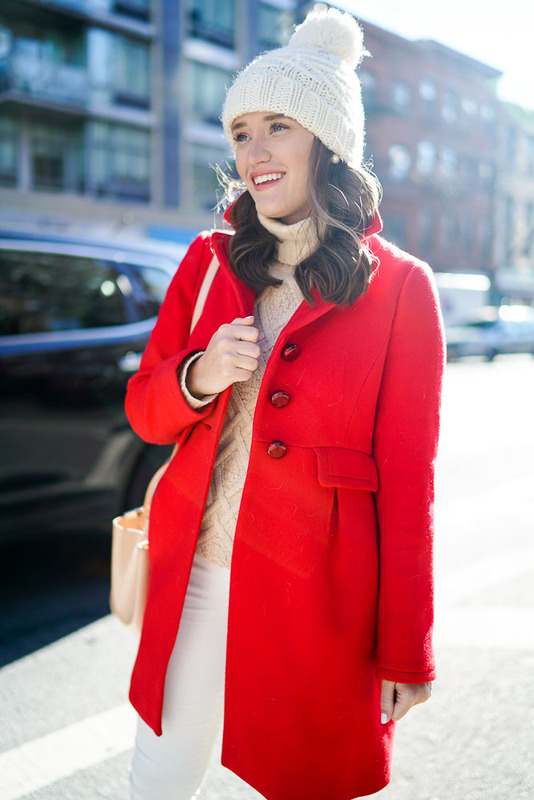 This outfit is so cute, I love your red coat!